You go from one place to another to free yourself from wearisome schedules and reasons to not hear the calling , stepping out from the confinements, which exist only until you realize that there weren’t any. Breaking the walls stifled by the fumes of burning clocks and deafening tick-tick of the time, you stuff your bag with hopes of finding a part of you in a place that awaits you and leaving behind another as a souvenir, when you only know it like a tune you heard from a distance. The sun, even though of the same sky looks different, and so does everything else. The usual becomes unusual. A gentle stroke of the wind takes away the heaviness you had carried for long. A step on the soil turns into a memory in the heart. Unspoken words write themselves down on the smile on your face. A song at the shore, a little dance on the side of the road. The place makes you feel more like a friend than a friend who always pretend to know you. And one day you, that place becomes an experience you waited long to live. A journey turned into an adventure. Never having an idea about how much of a place you will carry with yourself, you get ready to rove around another. Nostalgia for that place follows you wherever you go, and you relent in the intricate loneliness while remembering every bit of the life you lived then and there; the kind of loneliness one feels being among the people who know you as much as a man assert to know God. While you continue to whirl in the eddy of memories, the same place embraces another wanderer in its warmth. 2:00 PM on the clock. The project report book was kept aside. The computer screen was turned off. “Poetic and soft sunshine of the morning, and the road I traveled today,” she replied. My life always has been perplexing; perhaps, a jigsaw puzzle, and I am trying to put different pieces into right places, sometimes to give it some sense, and sometimes to see what it turns out to be. However, putting a piece in its right place isn’t as easy as everybody around me told. There were nights when I struggled to give my fatigued eyes some rest, because my thoughts refused to sleep. However, a night of absolute persuasiveness came by, and I could let the bleak thoughts slip away in the pure silence of the night. I realized that the pieces of my puzzle are not at one place, that they never were, but they are always around me. I continued to move my pen over the plain white sheet, and did not regret if a line bended between or the ink clogged. For some reason, I always believe that I’ll make something out of it, and that a mistake might lead to a much beautiful piece of art that couldn’t have been possible without unintentional clogs or bends. I finished my piece without doubting my ideas and capabilities only to realize that I will only be able to pick the pieces of puzzle if I keep walking, as far as I can, as long as I can, and if I happen to pick wrong pieces, not once but many times, I should not worry and keep moving. Instead of thinking about the wrong pieces that I mistakenly took hold of, and that I failed at finding the right ones, I must look at the puzzle with careful fore-thoughtful planning. The next morning I showed my art work to a friend who fairly appreciated, unknown of the hidden imprints of clogs and bends under the artistic lines. That’s how life is. The Ramayana is a Sanskrit epic poem ascribed to the Hindu sage and Sanskrit poet Valmiki. It is regarded as one of the two great works of Indian literature, along with the Mahabharata.The Ramayana also plays an important role in Hindu literature. Indians must be knowing about the value attached to the Ramayana both in literature and in religion. To my Non-Indian friends, you may know more about the Ramayana by clicking here. The Ramayana may appear to some as a story, but it always have been more than a story of a man (Rama) whose wife (Sita) has been abducted by the king of Lanka (now known as Sri Lanka). The Ramayan not only teaches about the power of truth, but also about duties, responsibilities, sacrifice, faith, and love. There have been quite a number of TV serials and movies made on the story of the Ramayana. Ever year near Dussehra (Vijayadashami), plays are organized narrating the story of the courage and victory of truth. The gist of briefing you about the Ramayana is that few days back I came across a song ‘Ramayan’ by a band named “Silemukh”; Silemukh is the name of an arrow. Plays, movies and serials are common medium to know about the Ramayana; however, this song has an excellent narration and amazing music. After listening to this song, I thought of sharing it with you. Click on Youtube to listen to more songs by them. My eyes were fixed on the roaring waves that late evening. I was standing on the land, where my most admired person ever belonged to. The sky was almost dark as the gloomy dark clouds almost enveloped the sky. The waves were high and their roar was easily heard. The sight wasn’t pleasant, it was scary and chilling. My heart was already beating faster, for my life was hanging on a cliff with uncertainties. I walked towards my mother to sit beside her, and I could make out from her face that something was wrong and that she was avoiding to tell me. I kept quiet and did not ask her anything. We got into the car to drive back to the place. Throughout the journey I kept glancing at her, she wouldn’t notice me, which she otherwise does. We reached the guest house and switched on the TV. I was trying to look okay, since later that evening I had already gulped down a bad news. The news flashed on the TV screen about death of APJ Abdul Kalam sir. I was numb and shocked. My mother then broke the silence by saying, “I got to know about the news when you were at the beach.” On asking why she did not tell me about it then, she replied that she did not know how to give me another bad news. Tears started to roll down, and my hands inked in black color of the smudged kohl. God rained grief all over me that day and I wonder if he is really kind to me. I was in Chennai and I wanted to go to Rameshwaram ( where Abdul Sir was born and raised in) but life is cruel sometimes, and I couldn’t go. 24 hours round trip was impossible then. The reality hasn’t sunk in yet; however, his loss is replaceable. He was a benevolent human being who died doing what he wanted to- Delivering a lecture at one of the top engineering institutes in India. There can never be another APJ Abdul Kalam– People’s President, Missile Man, the man with wings of fire, and the one who read and respected both Hinduism and Islam. I remember when he was just a distant away from where I was standing during a conference. I was blessed to have a glance of him, to hear his words of wisdom and to be a part of his audience. I still remember each story of his life that inspired countless people. His words still echo inside my head. Where there is beauty in the character, there is harmony in the home. When there is order in the Nation, there is peace in the World. Today, former President A.P.J. Abdul Kalam’s mortal remains would finally be put to rest. My Akhari Salaam to Kalam Sir. All the love, respect and admiration that I have always carried for him shall stay for eternity. I pray that his soul rest in peace. You will be terribly missed, Sir. What was real blindness like? I wondered while lying down on the floor staring at the roof of the room whose only furniture was darkness. Is it in the inability to see the light? Or is it in the inability to see the facades they wear? On further introspection, I realized that I never fathom out that behind a facade there is no light, so how can they ever think good for me? I wanted to know who I am, I wanted to see if my skin was still breathing or the darkness had occluded all the pores. I ran my fingers along my face, and when my fingers reached the end of the forehead, it felt as a shore to the sea of black hair that had captured the whirlwind of realism, ready to sweep away the pseudo. 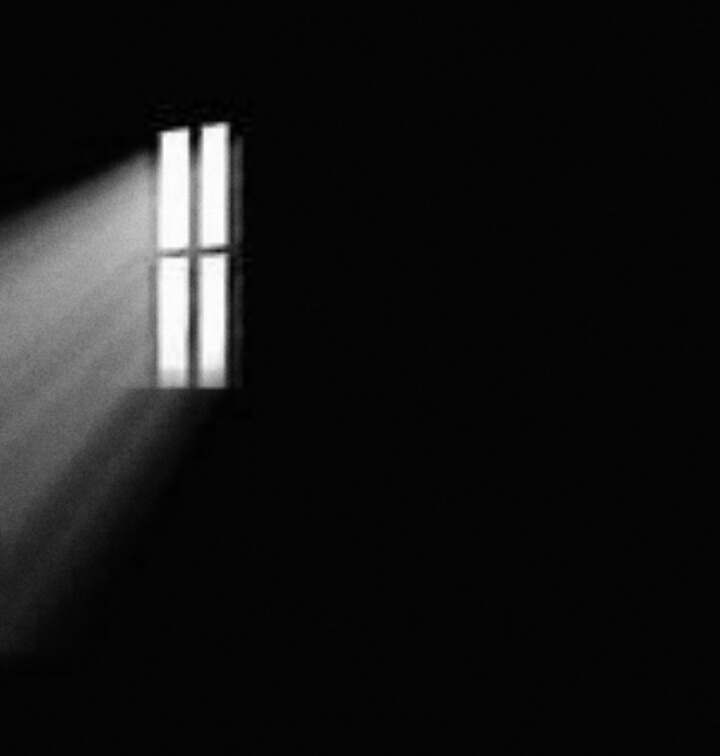 The window of the room howled in the darkness, and the glass cracked with the force of the wind that blew outside. I stood up with a slightly loosen hair bun and eagerness in my eyes to look outside the window. The moonlight entered through the crack, and gave birth to my shadow, the part of me that got lost amidst the darkness. The wind permeated the room, wiping out their villainous smell, and flew through my loosen bun, unfolding each strand full of power with its tenderness. The moonlight seeped through my veins, bestirring the blood to flow smoothly with a hope. The veil of blindness was peeled off by the songs of the wind, the dance of the moonlight, poetry of the stars and silence of the soul. The pores breathed again, and I was reborn.